Well, back to work. I find myself somewhat unexpectedly back on the Joint Budget Committee (JBC). Lots of work. We started formal briefings and hearings a month ago, but it continues to be an opportunity to help my constituents and the Western Slope in some meaningful and unique ways. Since I’m thinking about money, I’ll talk about money in this month’s column. There are really two ways to look at Colorado’s state funding. There’s the short-term challenge of balancing this year’s budget and there’s the longer-term dilemma of a sustainable tax policy and affordable government. We’re working on both. The JBC started with a $500 million problem in matching the latest revenue forecast to funding needs as prescribed by current law. Before March, hopefully aided by better forecasts, we have to balance the budget. We have a recommended set of solutions from the governor’s budget office, but we never completely agree, and we have to convince our fellow legislators. So we have work to do. What may be more interesting to the citizenry at large (you, my readers) is the longer-term crisis of paying for our state government. Our teachers tell us they need another billion or so dollars each year, transportation needs a billion a year for the next 20 years, and Medicaid keeps growing faster than revenue as costs go up and we add enrollees. Oh, and prisons cost a lot. We are constrained by TABOR in both good and bad ways, and we have the Gallagher amendment and Amendment 23 to deal with. Severance taxes from oil and gas fell 90 percent last year. What to do? As complex and hopeless as it sounds, there are some answers emerging. I’m hopeful that a bipartisan approach to transportation funding will be presented to the voters that includes a major bond issue and a way to pay for it. Perhaps we can bend the cost curve to control Medicaid growth — including the infamous hospital provider fee — through block grants being promoted by the new administration. Then we can start to solve the K-12 funding morass. I’m thinking that we need to first solve the funding inequity created by the bizarre application of property taxes to the school finance formula. Then we can assess whether new funds are needed for schools and perhaps increase our funding for higher education institutions. Meanwhile back to this year’s balancing act by the JBC. We’re going through every department and cash fund including the growing marijuana taxes to prioritize our spending and focus on important services to taxpayers. We all have our favorites, but I would like to hear yours. Drop me an email and distract me from all those spreadsheets. It’s a pleasure to serve you. “Under the Dome” appears on the second Tuesday of the month. 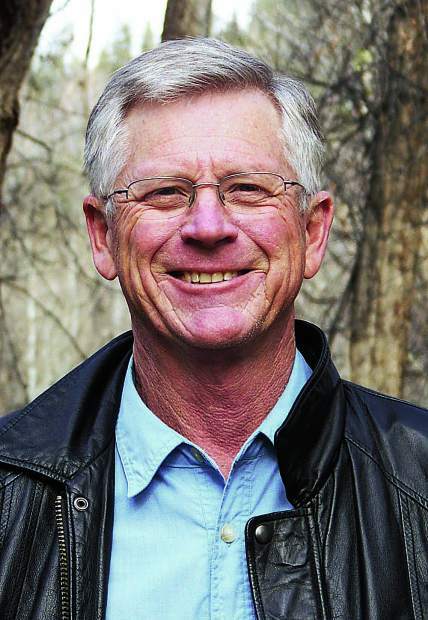 State Rep. Bob Rankin, a Carbondale Republican, is in his second term in the state Legislature representing House District 57, which includes Garfield, Rio Blanco and Moffat counties.